Learn to let go of the every day grind, leave the electronics behind! Move your body with a bootcamp every morning, and lift your spirit while relaxing and enjoying the natural surroundings. 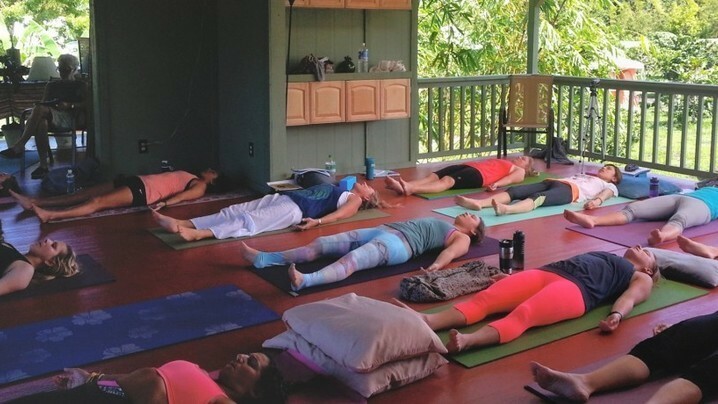 This experience will allow you to explore and reset the body and mind with daily yoga and center yourself with daily group health coaching sessions. Kirpal will serve three delicious vegetarian meals every day (and if you want, you can stop by the local farmer's market and use the two fully equipped kitchens on site). Isaac Hale Park - Half mile walk from the Center. Swimming at boat ramp on Pohoiki Bay is safe and has easy access. Small Warm Healing Pond. 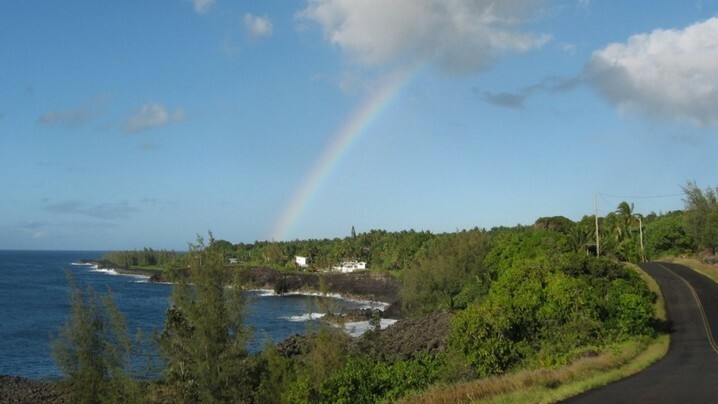 Also known as Pohoiki this is an oceanfront park, boat launch and surf location along Pohoiki Bay. Recommended for experienced surfers only. Warm Ponds (Ahalanui Beach Park) - A spring-fed thermal pool. Safe and relaxing, warm to hot healing waters at the ocean edge. Fine view .2 miles from Center. Black Sands Beach at Kehena A hard but short climb up and down. Swimming could be dangerous. About seven miles south along the ‘Red Road.’ This is a clothing optional beach. Volcanoes National Park Best crater viewing and nature museum. About 40 miles via Kea’au. Kaimu/Kalapana Great lava viewing, no charge. 11 miles south on Red Road. Best in the evening. Kapoho Lagoon Reef & Tide Pools on Kapoho Bay Pleasant and safe and great for snorkeling. About 5 miles along coast to the north. MacKenzie State Recreation Area Quiet, accessible picnic spots on spectacular lava coastline. About 3 miles from Center. Not for swimming. Lava Tree State Park Has curious lava formations from a previous eruption. 4 miles up Pohoiki Road near junction with Hwy 132. Pahoa Village Farmer’s Market Large, covered, outdoor market with fresh fruits and vegetables, clothing and jewelry, food and coffee booths, music, kava bar, and more. 7 am-2 pm every Sunday, downtown Pahoa in the Akebono Theater/Luquin’s parking lot. Maku’u Farmer’s Market 8am-2pm, Sundays. Hawaiian crafts, plants, produce, jewelry, shells, ethnic and recycled clothing, food, live music, records/cds and books from approximately 150 vendors. Maku’u Farmer’s lot, Keaau/Pahoa Hwy. bypass road. Several restaurants in Pahoa are open every day of the week. Angel is a business owner, trainer for her bootcamps, health coach and mother of two very active teenagers and a wife to an Intel employee and children's book author. 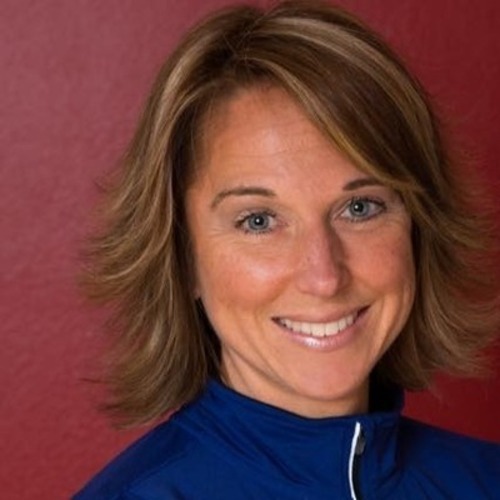 She has been in the Fitness industry as a Certified Personal Trainer and Group Exercise Instructor since 1993, also holding a B.S. degree in Exercise Science. KMEC was brought into existence out of devotion to His Holiness Param Sant Kirpal Singh Ji Maharaj (1894 - 1974). KMEC's calling is to assist all guests and spiritual seekers in their transformation into Oneness by providing the most tranquil & serene environments for their practices. In support of the above, we operates a strictly lacto-vegetarian kitchen. No alcohol, drugs, eggs, meat, or fish is permitted. This is what is traditionally referred to as the monk's diet in the East, in support of great meditations. Kirpal is completely off the grid, 100% solar powered and aims to preserve power. (please leave your hair dryer home and bring a flashlight) All of our water is collected rainwater, which is purified by state of the art filtration systems into the purest drinking water for you to drink and shower in. We stand for simplicity and nature immersion as therapy for busy minds. 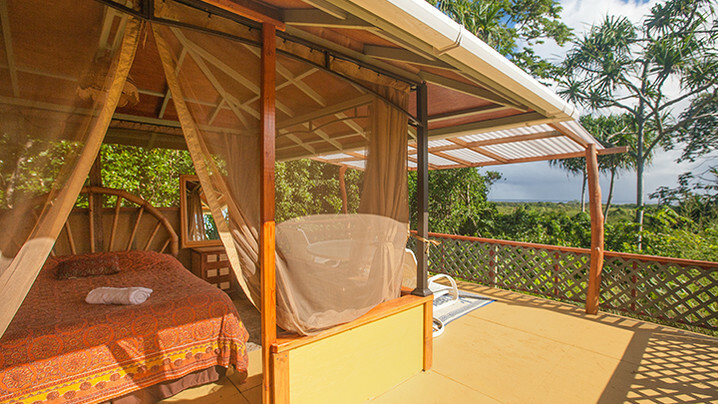 It is a jungle experience, be prepared for all the wonderful night noise and friendly wildlife encounters with geckoes, birds, pigs etc. 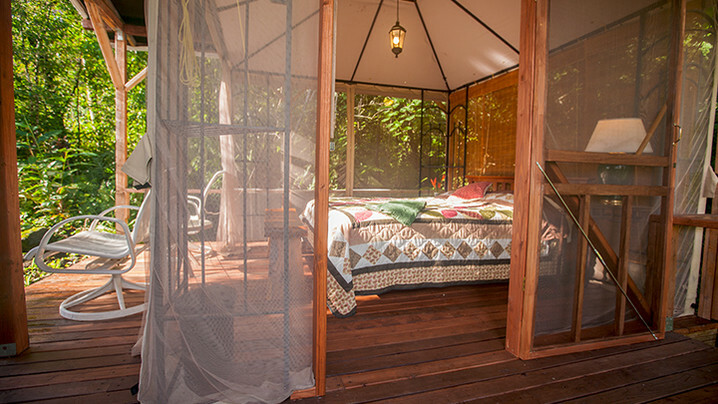 KMEC's screened off cabins are simple but with comfortable beds. 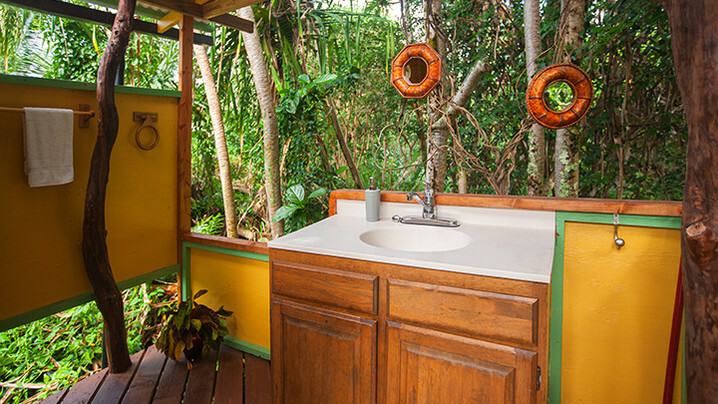 The showers are partially open with a jungle view. This is not intended to be a 5 star experience. Join Angel's Tribe and stay up to date on their trip!